On January 15th 2017, INN is celebrating her second birthday and we’re in the mood to party! That means it’s time to giveaway another ship. When we started thinking about our birthday giveaway we decided there will only be one rule: It’s gotta be big. 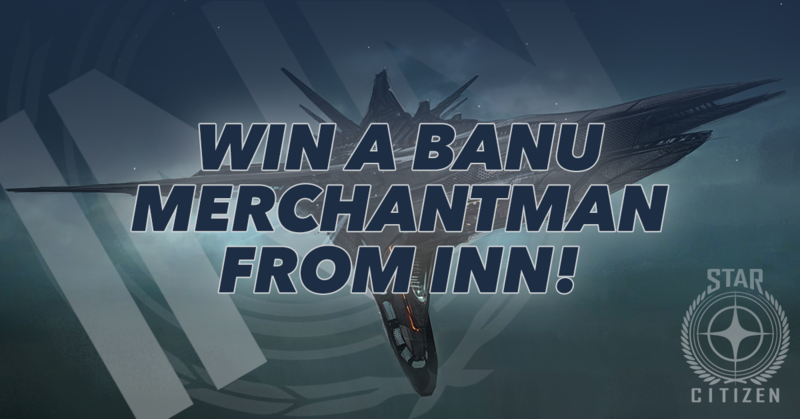 That’s why our first prize is a brand-new, Banu Merchantman 2016 Anniversary Edition! The Banu Merchantman will be given away live on The BASEment with Gyun Nah on The Base from 7:15 – 8:15PM Eastern/4:15-5:15PM Pacific.